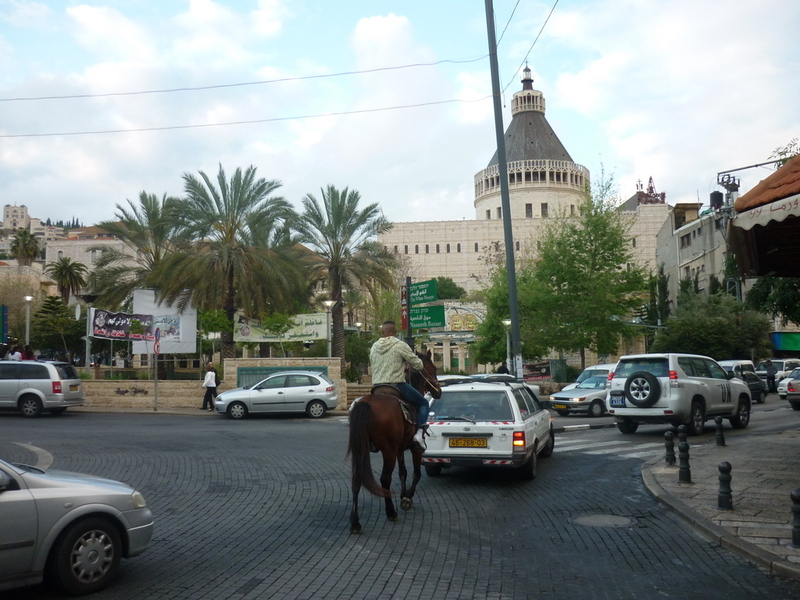 This is the famous Basilica church, it stands a centre point in the city, as one of the biggest buildings in Nazareth. I didn’t see many Nazarenes on horses, only this one! You can see the church more or less anywhere in the city, this tall turret is quite distinctive. Built in 1969, the give away signs of the modern construction of this place is these odd dimples in the concrete structural support beams. 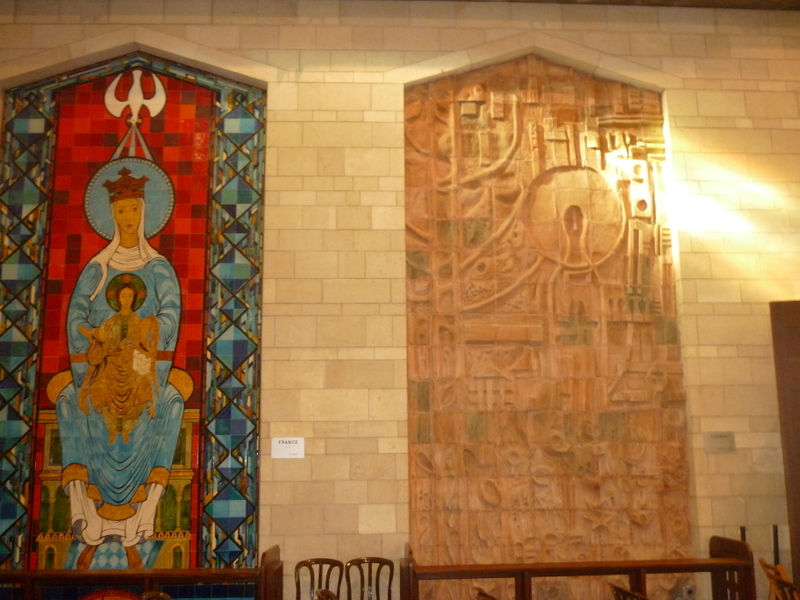 Other than that there are usual pews and decorations you would find in any church here. I didn’t get to the dome up the top, I think this may be possible with this paid tours that happen on week days here. On two floors, this place is huge!! 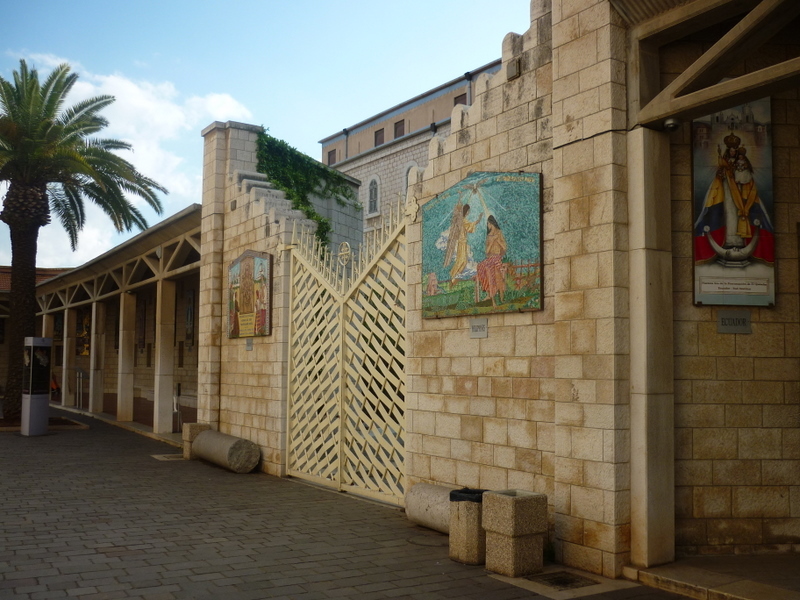 This floor contains the Grotto of annunciation, ie: what’s thought to be the home of Mary. Underneath one of the walkways in the yard are more signs of ancient history under these support beams. There’s no doubt the the Basilica is a fertile place for photographers! Here there are muriels dedicated to other countries, there are dozens of them all around the insides of the perimeter outside wall of the church, like I mentioned a few articles ago, this is a kind of peace initiave I think, although seems to be mostly Catholic (ie: Ireland, France, Poland, Brazil etc) countries.